Nightingale Apps Wins July’s Amber Grant! After announcing our July Amber Grant finalists last week we’re happy to finally announce our July Amber Grant recipient! Congratulations to Tiffany Kelly, founder of Nightingale Apps. 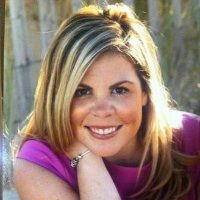 Below is our interview with Tiffany, where she tells us all about her Know My Patient app! WN: I see you have years worth of experience in the medical field. When you first started out did you ever imagine yourself producing such a helpful tool? TK: When I first started my nursing career 14 years ago, I never imagined that I would be building a business focused on delivering a software solution to help nurses delivery higher quality care. When I started as a staff nurse, electronic information systems were very limited in hospital settings. Additionally, my focus at that time was on delivering the best care that I was able to provide to my patients. However, as my career has developed, I grew to love working with information systems in an effort to provide nurses with tools that can integrate with their natural way of working each day. The development of Know My Patient TM came about as I was observing nurses work as part of my Ph.D. research. The nurses’ main focus during that time was on the patient whereas my focus was on understanding how they use information to care for patients. This lens allowed me to recognize a large problem that could be solved with the right attention to detail in the design as well as understanding the nurses’ environment. I see Know My Patient TM as a tool that can support nurses in their delivery of safe, efficient, timely and patient-centered care. WN: Who is the techy behind the Know My Patient App? How long did it take you to perfect the app? TK: I am fortunate enough to have the clinical expertise, professional experience with information systems, and the evidence from my research to create the design for Know My Patient TM. To turn the design into a functional app, I reached out to Mr. Sivagajen Suntharalingam, my talented colleague of several years. He has extensive experience with clinical information solutions as a computer scientist. 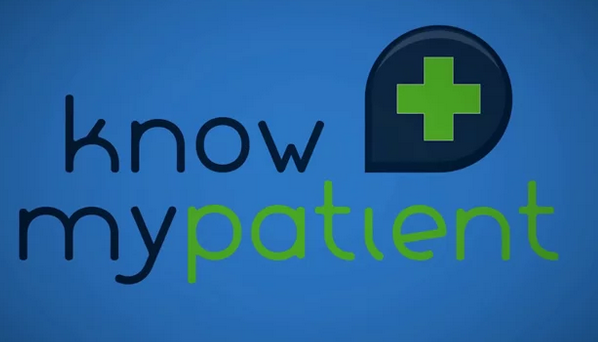 Nightingale Apps has a stellar first version of Know My Patient TM, which took several months to design and subsequently develop. I believe perfection is something that Nightingale Apps strives toward but we also recognize the need for subsequent versions to enhance the benefits of Know My PatientTM in delivering high quality care. WN: Is the Nightingale App currently being used by any professionals in the medical field? TK: Currently, Nightingale Apps is weeks away from completing the first version of Know My Patient TM. We have been conducting ongoing validation of the application with nurses over the last several months. Once the first version is completed, we will be conducting a feasibility study with nurses to test and refine the product design. Nightingale Apps is fortunate to be receiving the Amber Grant in order to support the costs of that study. WN: What’s the next step for Nightingale Apps? TK: The next major step for Nightingale Apps is to pilot Know My Patient TM with nurses working in hospital settings. The company is currently working to secure the first pilot site for testing Know My Patient TM. The company is excited to reach that milestone as well as looking forward to seeing Know My Patient TM in the hands of other nurses. WN: What advice would you give to women who are interested in starting their own business? TK: I would encourage other women to pursue their interests in starting their own business. I believe anything is possible as long as you are able to have a vision for what you want to achieve and the willingness to work hard for that vision. In addition to one’s internal drive, I would encourage them to surround themselves with good people who believe in the vision for the company and who want to help them make it successful. While starting a business may begin with one person, building a business requires the help of many people. Thank you for reading! Remember we award an Amber Grant every month – if interested here’s the link to apply! We hope you all have a great day!